1- Miss Jessie's Multi Cultural Curls 8.5 oz. 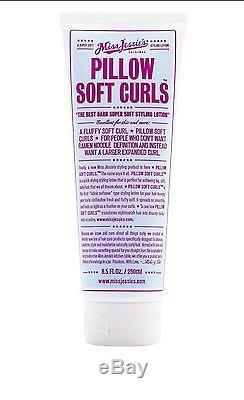 1- Miss Jessie's Pillow Soft Curls 8.5 oz. 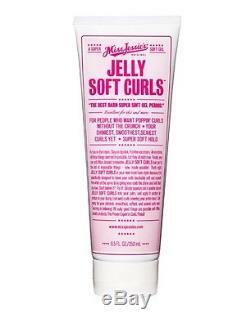 1- Miss Jessie's Jelly Soft Curls 8.5 oz. 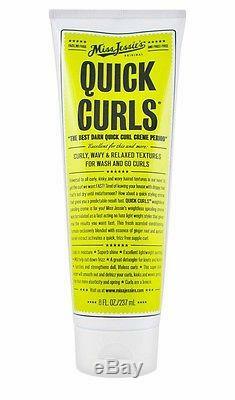 1 - Miss Jessie's Quick Curls 8.5 oz. Where do you fit in? You are a beautiful mix of different ethnicities but cannot find styling products that work for your unique multi-textured curls. Some products are too heavy and leave your curls oily and weighed down. Other products are just too light. We know your story and share your frustration. Growing up as bi-racial babies, we were always searching for just the right product. Now, we celebrate our mixed race heritage and the curls that come with it. Multicultural CurlsTM gives your curls uniformity and manageability while at the same time fights frizz and adds just the right amount of super soft hold. Try it and you will love the beautiful curls that were styled with Multicultural CurlsTM INSTRUCTIONS FOR DAILY USE: Evenly distribute a capful or more to damp, freshly washed, conditioned and detangled hair. Spread a generous amount until you have good coverage. Make sure you scrunch the hair to encourage curl. To dry: either use a diffuser attachment to dry the hair or air dry and GO! 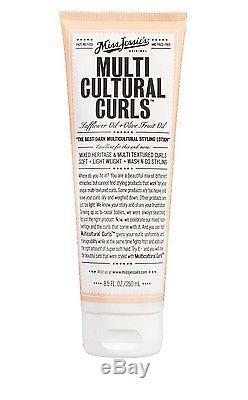 To refresh curl dampen hair and apply a capful or more of Multicultural CurlsTM and repeat steps above. The name says it all. 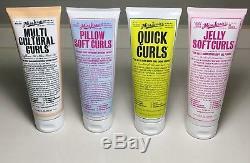 Miss Jessies PILLOW SOFT CURLS is the new styling lotion that borrows fabric care technology and marries it to haircare. It is perfect for achieving static-free, big, soft, curly hair that we all dream about. If you don't want ramen noodle definition and instead want a larger, expanded, fluffy curl then PILLOW SOFT CURLS is for you! It's the first fabric softener type styling lotion that will leave your curls clothesline fresh and fluffy soft. You will see that PILLOW SOFT CURLS is so easy to apply. It spreads so smoothly and feels as light as a feather on your curls. Jelly Soft Curls is your next must-have styler because it is specifically designed to leave your curls touchably soft and crunch free while at the same time giving your curls the shine and hold that you love. Simply squeeze out a quarter size of Jelly Soft Curls into your palm, and apply it section by section to your damp (not wet) curls covering your entire head. Get ready for your shiniest, smoothest, softest, and sexiest curls ever. 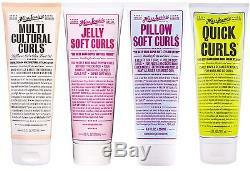 All curly good things are possible with Miss Jessies products. The Proven Expert in Curls. Quick Curls weightless spiraling crème was formulated as a fast acting no fuss lightweight styler that gives you the results you want fast. This fresh scented conditioning formula exclusively blended with essence of ginger flower and lime fruit activates a quick, light weight, and frizz free smooth curl. Apply to damp hair based on length and density. Air dry or diffuse dry. The item "Miss Jessie's 4 ITEM LOT- Quick Curls, Multicultural Curls, Jelly & Pillow Curls" is in sale since Saturday, May 12, 2018. This item is in the category "Health & Beauty\Hair Care & Styling\Styling Products". The seller is "mytinystore1029" and is located in San Bernardino, California. This item can be shipped to United States.